Cardell Davis brings a wealth of experience to the eds America. Most recently Cardell served as the Executive Director of New Start Neighborhood Revitalization, whose main goal was to bring quality affordable single family housing to underserved and urban areas. Through a partnership with the City of Birmingham, New Start was able to provide housing opportunities for several families in Birmingham and surrounding areas. Prior to becoming the Executive Director of New Start Neighborhood, Cardell served as Homesave Director for Neighborhood Assistance Corp. of America. Cardell’s main focus was to assist distressed homeowners by counseling them as well as mitigating with banks and mortgage lenders to provide an affordable mortgage solution for the homeowner. In addition, Cardell assisted in foreclosure prevention services. 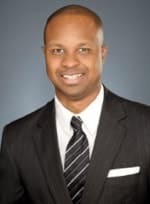 Previously, Cardell also served as Branch Manager of Premier Mortgage Funding, where he also taught mortgage literacy classes and held mortgage literacy workshops throughout the City of Birmingham. Cardell has been a guest on numerous local radio shows speaking on topics of revitalizing communities, how to obtain a mortgage loan, and foreclosure prevention. Cardell currently serves on the Board of Commissioners for the Housing Authority of the Birmingham District where he serves as Chairman. Cardell was appointed to the HABD Board of Commissioners by City Of Birmingham Mayor William Bell to a five year term.